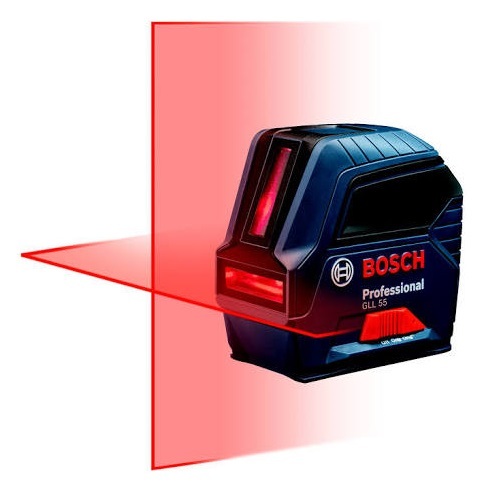 The Bosch GLL 55 professional self-leveling cross-line laser features vertical, horizontal and cross-line modes and can project two lines independently or together, for a broad array of alignment and leveling applications. It includes the Bosch-exclusive VisiMax technology, which allows for outstanding line visibility in standard working conditions. VisiMax constantly monitors the laser's temperature so the diodes are always driven to maximum line brightness, while protecting the laser diodes from overheating.